Contents: Mussels, artichoke, grapefruit, lemon tart, baguette and fries. 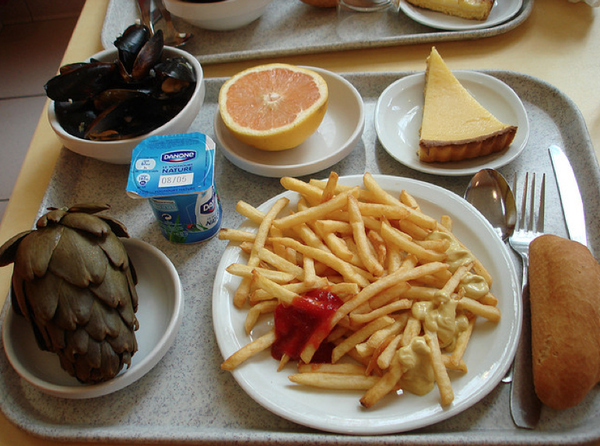 Fries with a side of artichoke, mussels and grapefruit. I think I'd leave the fries behind for the mussels.